Home Matchday Match Previews IT’S PAYBACK TIME! Revenge is the buzzword around Stamford Bridge this weekend, with Manchester United the visitors on Sunday. 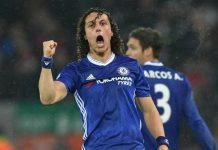 The history between the two sides goes without saying, especially in recent years, and the meeting of the title contenders will no doubt have as much drama as the last few Chelsea – United battles. United travel to SW6 after a poor start to the 2008/09 campaign, with just one win (other than the Community Shield penalty shoot-out victory over Portsmouth) in four games, and two high-profile defeats against Zenit St. Petersburg in the Super Cup and most recently Liverpool in last weekend’s Premier League game. Sir Alex Ferguson is not a happy man (but the again, when is he?) and will be looking to win at the Bridge for the first time since April 2002, but with Chelsea’s imperious home record added to a solid start to the season, Fergie may find his face going that little bid redder after Sunday’s game. Chelsea have this week welcomed Ray Wilkins back to the coaching staff at Cobham, but are still without Michael Essien for the long-term future with the Ghanaian midfielder set to return in March of next year at the earliest. Michael Ballack got a run out in the 4-0 crushing of Bordeaux on Tuesday and could be set to start this Sunday, while John Terry’s red card against Manchester City last weekend was infamously rescinded by the generous FA which makes the England captain available for this game. Didier Drogba also made a recent comeback from injury against City, although he was suspended on Tuesday, and will probably continue to fight for full fitness with a substitute appearance against United. And as if containing the free-flowing Blues – with or without Drogba – wasn’t hard enough for opposing sides, United will be without solid centre-back Nemanja Vidic after he was red-carded against Liverpool. For the mid-week draw against Villarreal, Ferguson made sweeping changes and handed a full 90 minutes to the young Jonny Evans, who helped keep a clean sheet and could have also won the game with a second-half header which hit the post. Another key introduction in the Champions League match was the substitute appearance of a certain Cristiano Ronaldo, making his first appearance this season following his summer ankle surgery. With Dimitar Berbatov rested from the mid-week game after suffering a slight knee injury (probably from all that TAPPING him and Fergie do in their spare time) but possibly in line for a return to action this weekend, United can boast a ridiculously talented attacking quartet featuring the Bulgarian striker, the Portuguese whinger, as well as Wayne Rooney and Carlos Tevez. Once again, I would like to thank the FA for allowing John Terry to play! Aside from that Champions League final, the last time we played United was a highly-charged day in April of this year with the title race still open. Ballack opened the scoring just before half-time but a Ricardo Carvalho error after the break let in Rooney who equalised on 57 minutes. With the final whistle and a solitary point looming, Michael Carrick handballed in the box with just five minutes of normal time to go, and Ballack again netted with an emphatic penalty to give Chelsea a valuable, but ultimately fruitless in terms of title ambitions, victory. This time around it’s more for maintaining a good start rather than aiming for a fine finish, but the three points on offer are just as important. There is a possibility that the Blues will be a hefty nine points clear of United after this game, and with Fergie’s men seemingly overwhelmed by other commitments, it’s the perfect time to play them. Scolari’s got us playing well, and this is the first real test for his Chelsea side. If he passes, the gap starts to grow. If he fails, well, it’s not really worth thinking about is it! Prediction: He won’t fail, surely! Hopefully! Please don’t! It’s got to be a win, I’m going for a 2-0 with Drogba opening his account at some point.